Finally a new website to roll off the design mill! 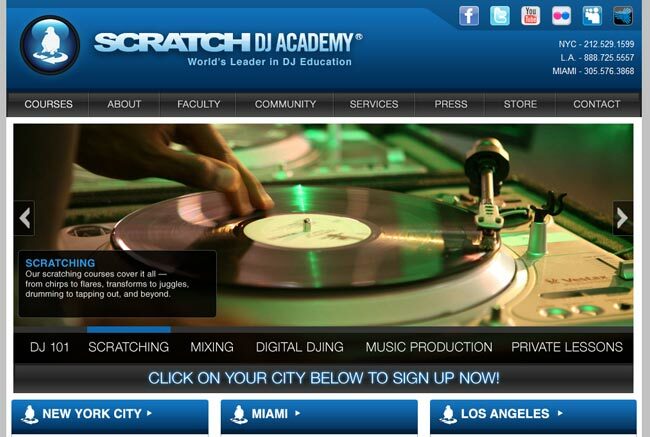 Scratch DJ Academy – ‘The world’s leader in DJ Education’ has refreshed its website design. Designed by Scratch’s very own Steve Woodzell and Michael Mariano. In 2002, Rob Principe and the late Jam Master Jay founded Scratch DJ Academy with the goal of lowering the barrier of entry to the art form of the DJ. Scratch’s historic first semester received media attention worldwide with instructors including Jam Master Jay, DJ Premier, A-trak, Evil Dee, and many more. 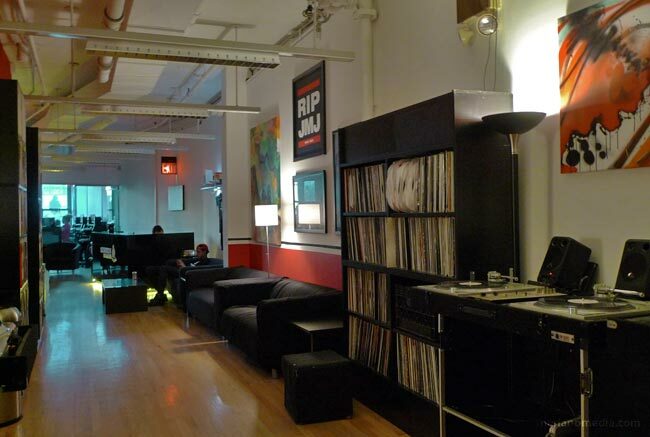 Scratch DJ Academy went on to sell out every semester during its first year and eventually moved to a permanent location in the West Village (where it is located today). Over the next few years, Scratch opened additional locations in Los Angeles (2004) and Miami (2005), and expanded its course offering to include music production. Today, Scratch’s teaches over 100,000 people how to DJ annually through its physical locations and national tours. Scratch has taught students from all 50 states, 35 different countries, and is widely recognized as the world leader in DJ and music production education. Scratch offers hands-on instruction on DJing and music production for students of all interests and skill levels, and full access to DJ Culture and Community. Visit www.scratch.com for more information. *Update: As per request of my friend and colleague – Bea, here is the screenshot of the previous design by JNMedia.